Today I was interviewed by Clickbooth for their blog! Here you can read the whole affiliate interview. This is what Eric Tweeted. 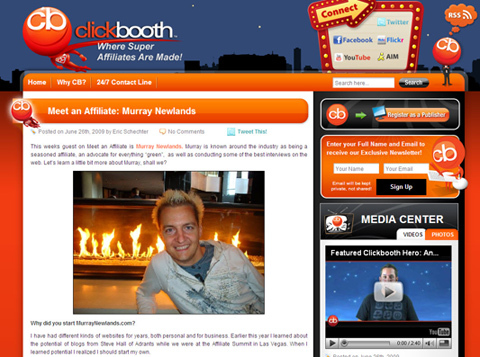 Thank you Eric and the whole ClickBooth team for the Affiliate Interview ! No problem Murray! It was great asking you some questions for a change 😛 Have a great weekend!